How do I know how many systems I will need? In most cases you only need 1 Soda Gun Jetter per bar. Our SGT-100 will clean up to 2 soda guns per bar, and our SGT-200 will clean up to 4 soda guns per bar. Example- If your Tiki bar has 2 soda guns, your main bar has 3 soda guns and your service bar has 1 soda gun, you would need (2) SGT-100’s and (1) SGT-200. The price is NOT per soda gun. Do you offer factory Installation? The Soda Gun Jetter is required to be installed by one of our Factory Trained Installers. Contact us for Pricing. I rent my soda guns, will the soda company allow me to have the Soda Gun Jetter? We do not make any changes or adjustments to your soda guns. We only replace the soda gun holster with our proprietary soda gun holster. In-fact we suspect equipment suppliers love the Soda Gun Jetter as it ensures their product is being served at its highest quality, it also reduces the amount of service calls they see from dirty soda guns. Is the Soda Gun Jetter approved by the health department? 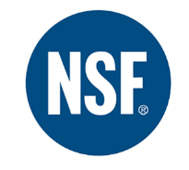 NSF International Certifies that the Soda Gun Jetter conforms to the requirements of NSF/ANSI Standard 18-Manual Food and Beverage Dispensing Equipment. This certification is your assurance that the Soda Gun Jetter has been tested by one of the most respected independent certification organizations in existence today. It is valued by consumers, manufacturers, retailers and regulatory agencies worldwide. What are the electrical requirements? 110V GFCI protected outlet within 6’ of the Soda Gun Jetter Control box location. What are the plumbing requirements? The Soda Gun Jetter is listed as a component to the soda gun, we tap off the cold water line of your existing soda guns. No plumber is required. Proper drainage within 10’ of each soda gun. What does the warranty service include? We are at your service 24/7 via our online support page, resource library, service request form, or our service call hotline. In the event you need service simply choose your desired method of communication and we will get to work. In the event we cannot solve your issue, we will promptly dispatch one of our factory trained service technicians. Do you offer an extended warranty? Yes, our extended Warranty is available for as low as $99 per year for the first system and $10 for each additional system at the same location.